Can poetry retain its power if it goes through multiple rounds of translations? 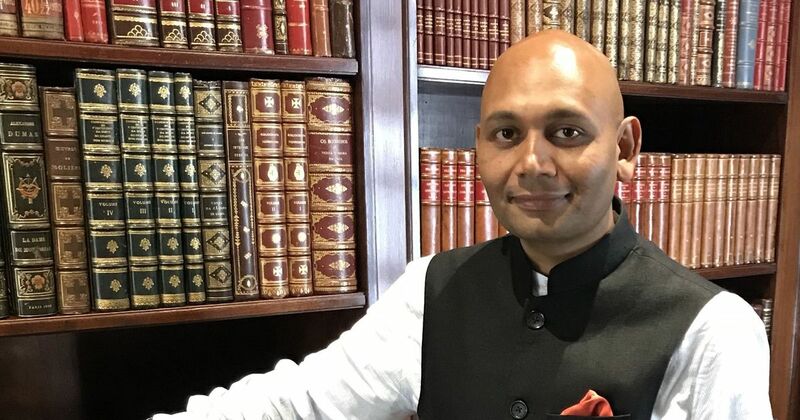 Ask Abhay K.
Abhay K is the author of five poetry collections and two memoirs but apart from being a prolific poet, he is also a diplomat, currently serving at the Indian embassy in Brasilia. Last year, he published an anthology of poems Capitals, an attempt to collect poems from or about every capital city in the world. With his latest anthology 100 Great Indian Poems, the poet-diplomat performs the daunting task of putting together the best and most representative of Indian poetry, from Eunice de Souza to Mir Taqi Mir. Excerpts from an interview in which Abhay K talks about selecting the hundred poems that make up the anthology, the critical task of translating them and his Brazilian connection. 100 Great Indian Poems came after bringing Capitals, an anthology of great poems of the world to India. Could you tell us how these projects developed? How are they related to each other? Capitals was born out of my quest to feel and experience the world through the eyes of poets and from my curiosity to understand how seemingly different capitals are related to each other. I published and launched the book in India with the idea of sharing the experiences of the poets of the world with fellow Indians. Now I wanted to do the reverse – show India to the world through the eyes of Indian poets. And thus the idea of 100 Great Poems, an anthology that showcases India’s rich tradition of poetry spanning over 3000 years, written in over 27 Indian languages was born. I spent a year exploring, compiling and editing select Indian poems that moved me in some way or the other, made me think and wonder with their sound, images, and rasas (flavours). I think these poems, which I call the great Indian poems, would appeal to anyone interested in India. To make these poems widely available, I am working on their translations into several languages. So far, 100 Great Indian Poems has been translated into Irish and Portuguese. The German, Greek, and Spanish translations are in progress. So it turns out that I am taking Indian poetry to the world after bringing poems from across the world to India. In a country as diverse as India, with so many different languages and cultures, what was the process of choosing these hundred poems? India is indeed a very diverse country and the task of editing such an anthology is daunting. However, it seems I had been preparing for it unconsciously for a few years. I remember walking into a bookstore in Gangtok in 2013 and buying all the poetry books it had. The owner of the bookstore was thrilled because no one had touched those books for years. At the time I didn’t know that these books from Gangtok, and others which I have collected over the years, would become one of the archives for this project. By the end of 2016, I found myself reading almost all the anthologies of Indian poetry published in major Indian languages. I handpicked the verses which I felt were great and then revisited the selected poems to see if they still moved me in repetitive readings. Gabriel Rosenstock, the Irish poet and translator, also recommended a few poems, which I liked and decided to keep. He simultaneously translated the selected poems into Irish. To accommodate as many voices and languages as possible, the volume has one poem per poet. 100 Great Indian Poems also makes a point of giving voice to minority groups, such as LGBT and Dalit poets. How was this aspect of the edition organised? India is socially as diverse as it is linguistically. I have tried to include poems from almost all minority groups in India including by tribal, Dalit and LGBT poets, among others. It was not difficult to find great poems written by poets belonging to these communities since some of the finest Indian poets, in fact, come from the minority communities of India.While editing an anthology that represents Indian poetry, either contemporary, medieval or ancient, it is important to be sensitive to its existing class, caste, and gender dynamics. I have taken advantage of the fact that poetry is a platform to question the existing injustice and inequalities built in the fabric of our society. It is important to hear the voices of protest that come from various social and economic hierarchies of India. In this anthology, you will hear voices from all sections of Indian society – a Dalit and a Brahmin who occupy opposite poles on the caste hierarchy, a kabariwala (rag-picker) from the low-rung of class strata, a magician who accentuates Indian exotica, a traditional Indian immersed in age-old rituals, a global Indian straddling continents, and so on. Brazilian poet and translator Haroldo de Campos used to say a poet-translator should try to approach a poem as if it was a musical score and identify the poem’s web of sound and sense before translating it. He was vehement about it and exhorted translators to do so especially with poems that seemed untranslatable, such as phonic poems. Haroldo called this process of translation “transcreation”. What do you think of that? Are there any such poems in your selection that you would say you had to “tanscreate”? Is so, could you give us some examples? Here I take creative liberty while transcreating the poem. I also see that my transcreation uses contemporary language to strike a chord with the contemporary reader. I believe all classics should be translated or transcreated every 20 years to make them accessible to the current generation. Was English used as a common language for all the translators in this project? Do you think the translators could have benefited from a direct contact with the contemporary authors, going beyond the use of English as a vehicular language for the translation? I would say yes for both of these questions. 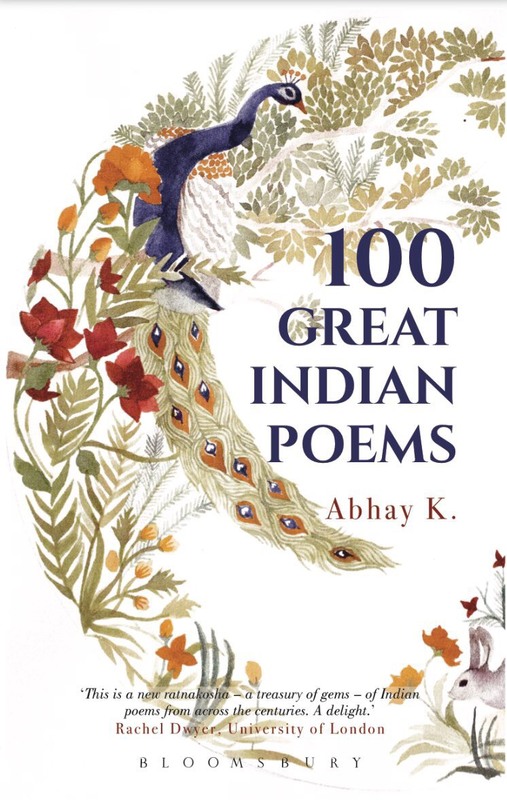 As the editor of 100 Great Indian Poems, I am aware of the fact that it is a relay translation because only a handful of poems in this edition are originally in English and most are from other Indian languages. However, this doesn’t seem to have a negative bearing on this project for several reasons. The translators who have translated these poems into English know the original languages and Indian culture well. Therefore using their English translations to further translate these into Portuguese and other languages seems natural to me. Moreover, I was open to connecting the translators of the Portuguese edition to the living Indian poets and their English translators. But this necessity did not arise as I could satisfactorily answer the queries of the translators, which mostly pertained to either the gap between the original and Portuguese languages such as with gender of words or with the meaning of Indian language words in English poems. The Portuguese edition is also supplemented with a glossary of Indian words for this reason. In any case, an ideal situation is one where the translated version is not twice removed from the original. Therefore, I would encourage Portuguese speakers to learn Indian languages. You have translated some of the poems in the collection into English in partnership with other translators. 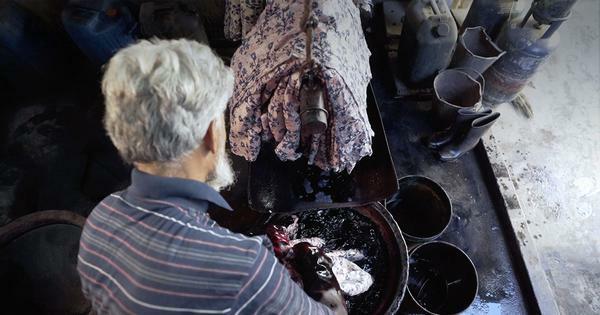 Can you tell us a bit about the process? What are the pros and cons of doing so? In which circumstances would you recommend it? Yes. In such cases, the first translator translates the text from the source language and the second translator refines the translation by all possible means. In the end, both the translators working together, achieve something they can live with. I think it really works if the two translators trust each other and are comfortable working together as the process involves removal of anything one translator does not agree with. It is easy to get offended if both of them are not frank with each other. I would recommend it in circumstances where the first translator has good knowledge of the source language while the second translator is well-versed in the poetry of the language in which the poem is being translated. That way they can complement each other. As a poet and as a translator, how is your own writing influenced by your work as a translator? I have learned a lot by translating poems from Hindi and Sanskrit into English and vice versa. How a poem can be translated in several possible ways has also taught me to write a poem in different ways. Writing is also a way of translating mental images and music into words. I have learned a great deal while reading translations of hundred of poems written in India’s various languages from different epochs and social and cultural scenarios, and I am sure my own poetry writing has improved in the process. From your knowledge and reading of Brazilian poetry, are there common themes and concerns that seem to emerge in both Brazilian and Indian contemporary poetry? I have read poems of Castro Alves, Manuel Bandeira, Carlos Drummond de Andrade, Cecilia Meireles, Vinicius de Moraes, Joan Cabral de Melo Neto among other contemporary Brazilian poets and find universal undercurrents in their poetry. For example, the other day I was reading a poem titled Anthology by Manuel Bandeira which deals with human suffering and how he wishes it could end quickly. In Agora Jose Carlos Drummond de Andrade asks universal questions. I have read Cecilia Meireles’s Poemas Escritos Na India and find my love for writing poems on places and personalities very similar to hers. Focus on love and loss in the works of Vinicius de Moraes will any day find common thread in works of many Indian poets. Castro Alves’s poems on the suffering of slaves and Ved Pal Deep’s The Black Man that features in this anthology are likely to strike similar chords and inspire similar sentiments. What are you working on now? Are there any new projects that could bring the paths of Brazilian and Indian poetry closer? I have an ambitious project in my mind to put together a collection of poems on Latin America which I like to call “The Alphabets of Latin America”. I have been writing poems on major places, personalities, monuments of the region as well as translating poems of contemporary Brazilian poets into English since my arrival in Brazil two years ago. It is a kind of response to Cecilia Meireles’s collection of poems written in India (Poemas Escritos na India) and Octavio Paz’s (who was Mexico’s ambassador to India) In Light of India. It is also an urge to carry on the legacy of poet Rabindranath Tagore who stayed in Argentina where he was briefly hosted by Victoria Ocampo. Besides, I have also been hosting monthly Cha Com Letras in Brasilia for two years and now in São Paulo as well. To rekindle India-Brazil poetry connection, I organised an Indian literature festival in three Brazilian cities in 2017. I hope more Brazilian writers will travel to India following the footsteps of Cecilia Meireles and write about it.